Just a friendly reminder...You MUST have a current and active USA BMX membership to participate in sanctioned, scheduled races, gate practices or clinics at South Park BMX. This is a requirement and USA BMX policy due to insurance regulations. Please, please be sure to bring either your current membership card with you and/or proof of new/temporary membership and/or renewal. You may purchase a membership at the track or on-line (https://www.usabmx.com/site/sections/29). 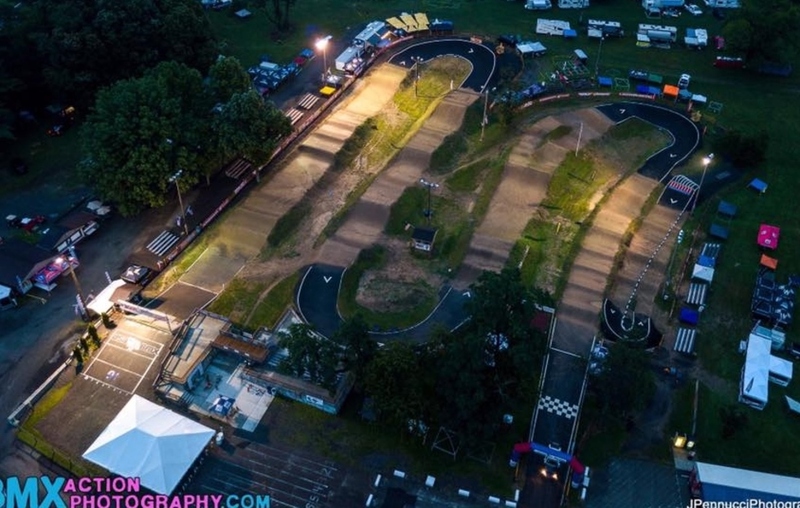 Wednesday and Saturday Night Racing - Registration and gate practice 6:00 PM - 7:00 PM. Racing ASAP after registration closes. 2019 Season Discount Special (advanced purchase) - Buy early and save at the SPBMX Registration Building. There are 2 discounted, pre-paid packages to choose from below. *Riders under this package racing both class and cruiser will be awarded a ribbon or certificate for their second class. 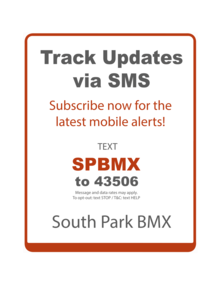 Rainout information will be provided via a News update via this site, broadcast Messenger and also the South Park BMX Track Facebook page. In the event of questionable conditions, the Track Operator and/or Track Assistants will make every effort to assess the track condition between 4:00 - 5:00 p.m. prior to the scheduled practice or race evening. Rainouts for Wednesday race nights will be rescheduled for the very next Thursday evening at the same times. Rainouts for Saturday evening race nights will be rescheduled for the following Sunday. Rainouts for practice nights will not be rescheduled.